Outside photo of a group of people gathered and entering into a building/barrack. They are carrying bundles or duffle bags, and luggage. 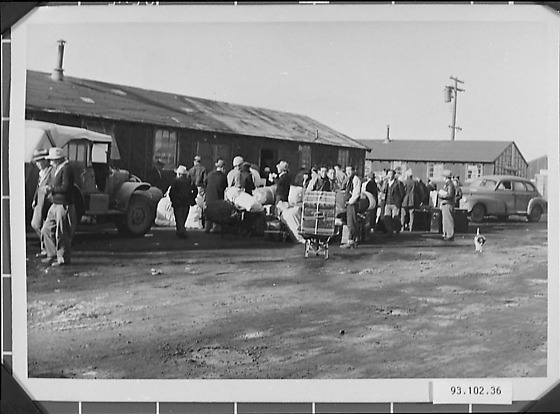 The people who were going back to Japan by boat after the war are gathering at the Hall in Tule Lake.